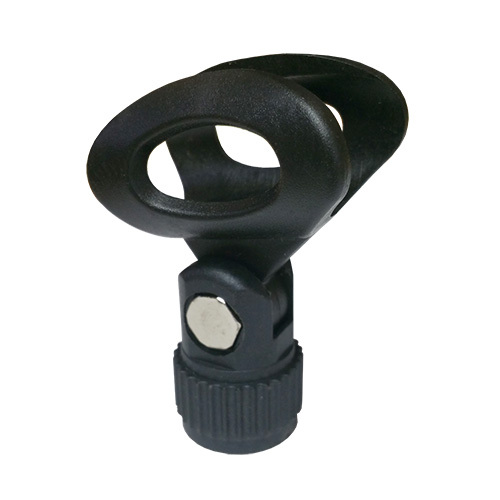 Keep your microphone secure with the MC002 microphone clip. The MC002 accepts microphones that have a 7/8" to 1" diameter body, features swivel adjustment, and brass 5/8"-27 TPI female threads. Keep your microphone secure with the MC-1 microphone clip. The MC-1 accepts microphones that have a 7/8" to 1" diameter body, features swivel adjustment, and brass 5/8"-27 TPI female threads.